Aired Wednesday, February 6, 2019. Are you a person who is cautious and opens the door with the chain latched? Are you a person who is carefree and opens the door wide? Or are you a person who asks who it is behind closed doors? Do you think of yourself as a networking wallflower? Do you feel like you need some tips on reaching out to mentors? Do you want to know how to make connections with people in an authentic way? Are you someone who loves to help others without requiring anything in return? Do you work a full-time job and want to know how to juggle family, job, and a side hustle? We will dig into these questions this week. This week we will find out what makes Dave Clayton so helpful and loving. Dave has over 25 years experience as a graphic designer and is the Training Manager at Astute Graphics. He loves design, designers, and loves design books. He has a knack for talking to others and lifting them up. He is someone I aspire to be more like. He makes friends easy, is an incredible colleague, and a killer designer. 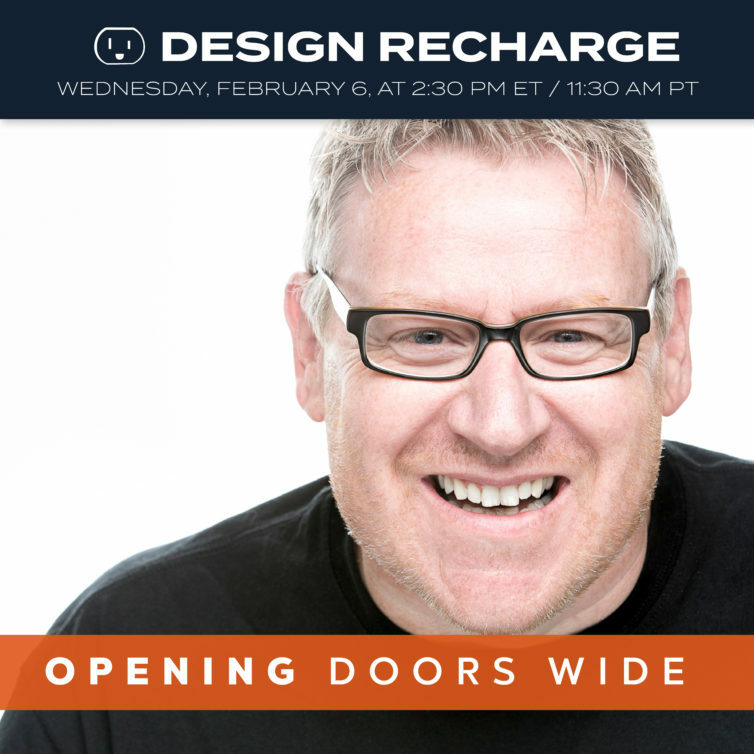 I hope you will join me for this episode of Design Recharge LIVE on Wednesday, February 6 at 2:30pm ET / 11:30am PT. If you already get the weekly newsletter no need to sign up you will get the link in your inbox 30 min before the show.